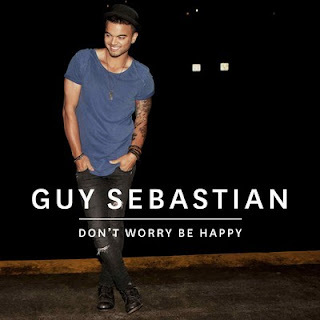 One of the original Australian Idols yesterday released his highly anticipated new single Don’t Worry Be Happy. Yes the very talented and charming Guy Sebastian, is back with a new single which will be taken from his seventh studio album. Guy, is very well respected in the music industry here and on the international stage, having phenomenal success with 6 previous platinum selling albums and writing a lot of tracks for himself and other stars such as Usher. Don’t Worry Be Happy is inspired by a close road encounter with a disgruntled driver in LA, Guy wanted Don’t Worry Be Happy to send a message to his fans; the sentiment behind the song being to appreciate the life. Well Guy must be appreciate life at the minute, with new album due out in 2012, an almost certain X-Factor win coming to him and a new addition to his family expected soon, we are sure 2012 is going to be another corker year for Mr Sebastian.